ArtWalks are free to the public every Thursday evening from 7 to 9 p.m. along Main Street from Scottsdale Rd. west to Goldwater Blvd., and on Marshall Way north of Indian School Rd. to Fifth Ave. Restaurants, museums and free trolley and/or horse-drawn carriage rides are available during ArtWalk to transport folks from numerous free parking areas throughout the Scottsdale Arts District and Scottsdale Downtown. 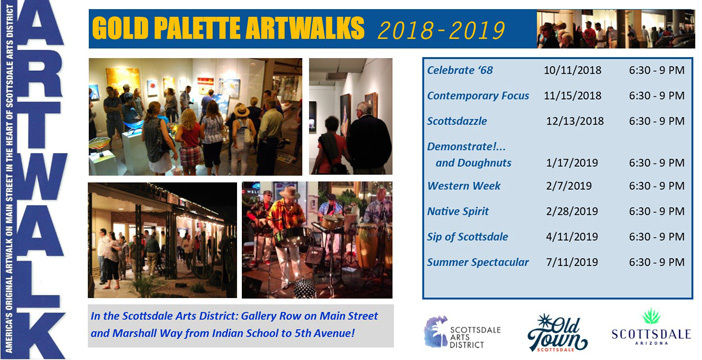 During the Scottsdale Gallery Association’s Gold Palette ArtWalks, presented eight times per year in partnership with the City of Scottsdale, the Scottsdale Arts District features activities, live music, entertainment and refreshments that correlate with that month’s chosen theme. These eight Gold Palette ArtWalks have extended hours and begin at 6:30 p.m.
Thursday, April 11, 2019 | 6:30 to 9:00 p.m. 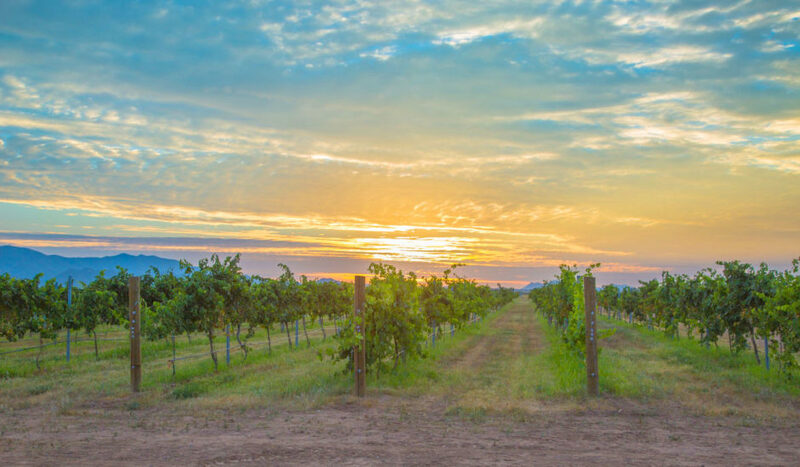 The Scottsdale Gallery Association’s monthly Gold Palette ArtWalk raises a glass to Arizona wineries with its Sip of Scottsdale event. During this ArtWalk, which takes place throughout the Scottsdale Arts District, along Main Street from Scottsdale Road to Goldwater Boulevard and north of Indian School on Marshall Way to 5th Avenue, guests can enjoy sips from some of the state’s most celebrated wineries as well as light bites at participating galleries. 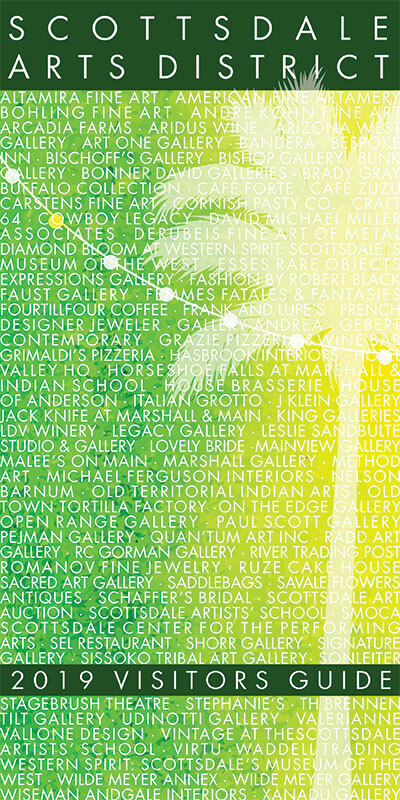 The Gold Palette ArtWalk brings together the finest art in Scottsdale, including 28 galleries and two museums — Scottsdale Museum of Contemporary Art and Western Spirit: Scottsdale’s Museum of the West. During the Scottsdale Gallery Association’s Gold Palette ArtWalk, presented in partnership with the City of Scottsdale, the Scottsdale Arts District offers free trolley and horse-drawn carriage rides to various restaurants, museums, galleries and more throughout Downtown Scottsdale. Free parking areas abound and valet service is offered.